In the wraparound jacket of the newest entry on the Naruto´s Novel it has been revealed that this work will be adapted to Anime this Winter. 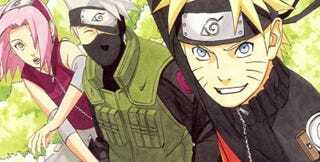 The adapted histories will be the Shiamaru´s Story; Konoha´s Hidden Story and; Sasuke´s history. Most details are still unknown; but more naruto must be good for it´s fans!